Wild Orchids Day Trip Thailand. Why are Thai people constantly eating? Thai Silk scarf for men and women. Holiday Travel in Thailand.Most holiday travel to Thailand is by air plus ship (ferry) train and car maybe a long-tail boat or just walking. 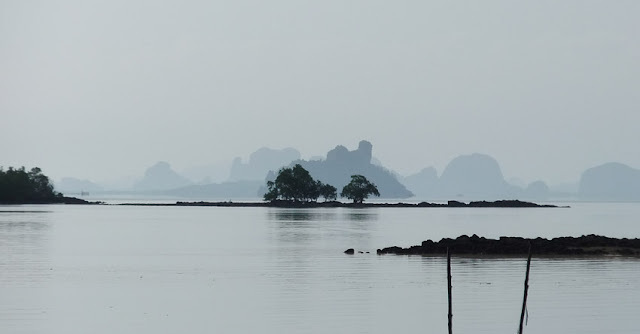 But nothing is more relevant in Thailand than on the road and bus tours plus cars and motorbikes for holiday travel everywhere in southeast Asia. With 35.4 million visitors in 2017 the kingdom is on its way to get even higher ground here is some travel guide advice including when the rainy season can make some headache but in general to visit Thailand is worth it any time of the year enjoy this travel guide. Travel in ThailandAbout 38 million visitors are targeted to visit the country with about 11 million from China and it looks quite good to reach the target since more than 19 million arrived in the first six months already that makes Thailand a champion in south east Asia and islands such as Koh Samui and Phuket a tourist magnet especially among Chinese visitors in the last years. 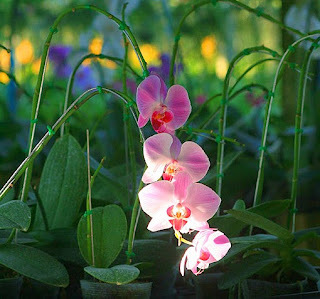 A Thai Orchid Nursery in Phuket.Orchid flowers collectively form a family called Orchidaceae, which is the biggest family of plants worldwide here we see many of the natures beauty flowers in a Thailand orchid nursery. They grow mainly in the tropical regions but some species are also are found in the Alps and other cold regions actually there are only three parts of the world where they don't grow this is in dessert Arctic and Antarctic. Almost all orchid photos here have been shot with a canon sx 40. Phalaenopsis or Phal Orchids plus Vanda and Cymbidium plants maybe some cattleya and at least a dozen more to choose from. Some of the most spectacular plants are grown in the Singapore Orchid Garden and there is another one in Kuala Lumpur with thousands of magnificent flower colors. Patong beach day and night.During daytime thousands try to get their suntan at Patong's waterfront and swim in the Andaman Sea or speed over the water with jet-skis. Patong beachThey enjoy spectacular paragliding watch big cruise-ships or a sailing boat passing by or get a beach massage from some fat ugly women who really squeeze them with the finger arms and legs and the whole body. Patong in Phuket is an incredible destination in particular nightlife related with Phuket Girls and lady-boys. Actually that strip along the western beachfront is the main reason why most guys are choosing Phuket Island for holidays. A good time is to sit on the beach at sunset and watch the yellow disc turn from gold to red and disappear in the Andaman Sea a part of the Indian Ocean south of the Bay of Bengal. Many traveler spend a couple of days watching this nature show especially around Bangla Road.